In today’s recruiting environment, talent shortages are the norm. Organizations are challenged to find and hire the best talent, fast. Understanding your current workforce, identifying the most talented candidates, and creating a seamless experience for both candidates and hiring teams will enable hiring managers, recruiters and candidates to move through the hiring process quickly and efficiently. A recruiting process done right enables organizations to attract the best talent. One of the best things your organization can do to find the best people is to ensure that the candidate experience is as engaging, personalized and meaningful as possible at every step in the recruiting process. 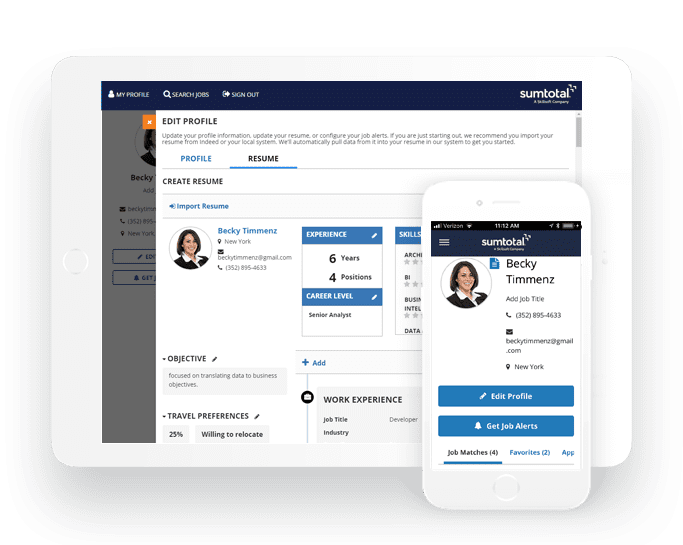 SumTotal’s redesigned Recruiting solution does just that through a smartphone-optimized career sites with apply capability, candidate-matching, automated and intelligent interview tools with an end-to-end, easy-to-use user experience from applicants to recruiters. Recruiting runs in real time, and your solution should too. 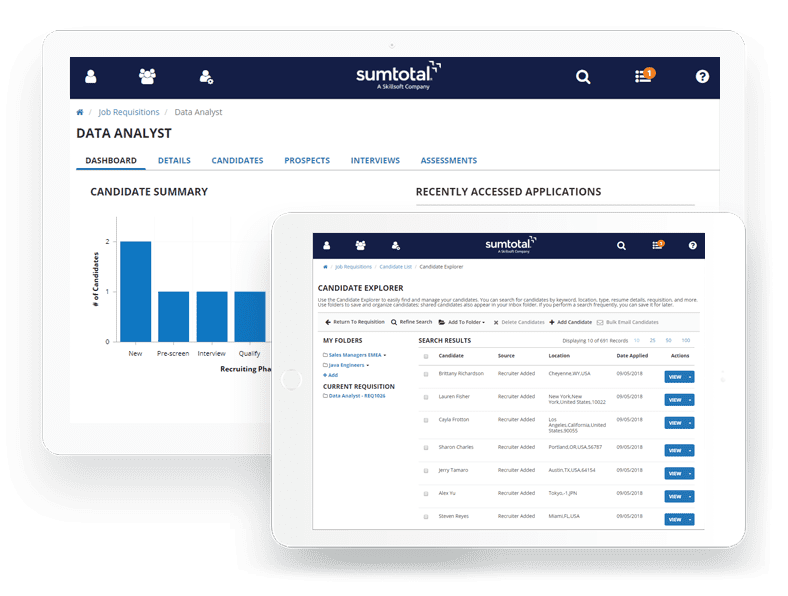 SumTotal is committed to designing a mobile first approach to talent acquisition to ensure the latest tools and reporting are available on the go. For candidates and recruiters, the experience operates the same on a phone browser, mobile app, desktop or tablet. Get matched with the perfect job that match their qualifications and needs. 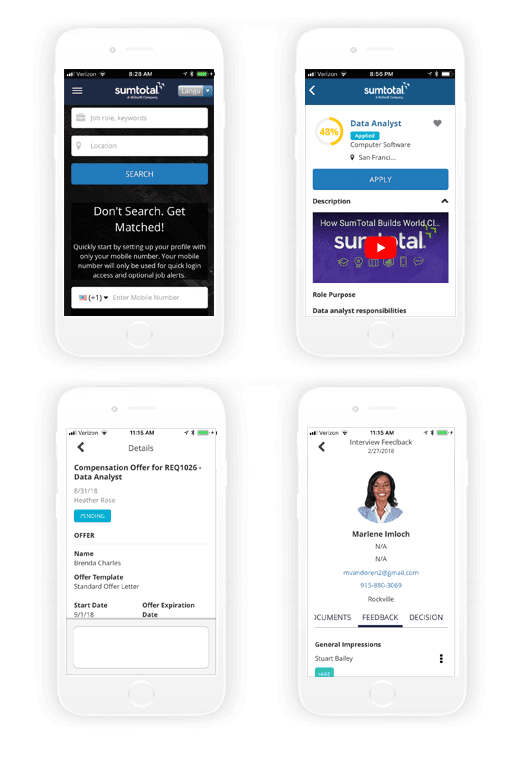 With permissions, anyone can view relevant candidate or requisition information, take approval actions, make comments or fill out assessments. At each and every step of the candidate journey, the experience should be as engaging, personalized and meaningful as possible. 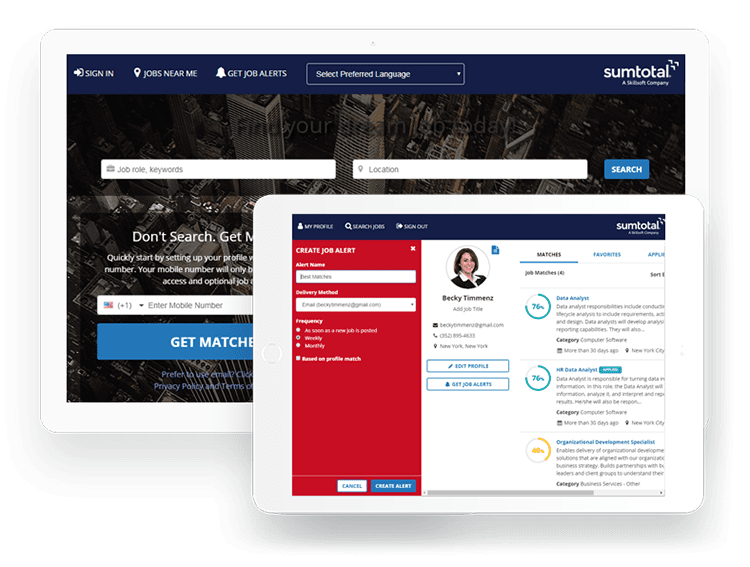 SumTotal makes it easy for candidates to find and apply for jobs. Profile tools to allow you to supply frequent and transparent communication. The timeline on a candidate’s dashboard gives clear visibility into where they are in the hiring process – ensuring applicants know which interviews are coming up, any forms that need to be filled out, and who they will meet.